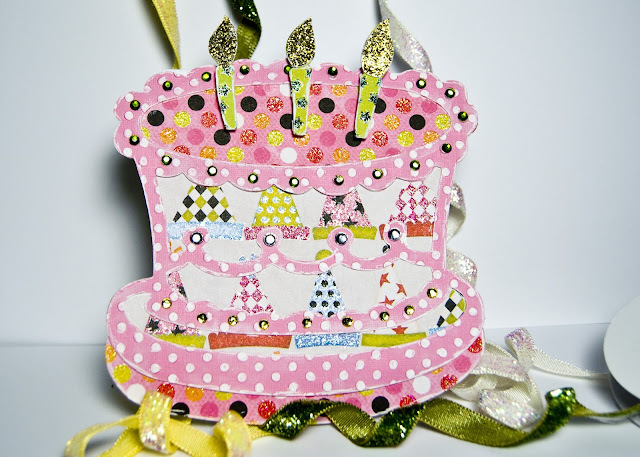 Then I grabbed my new I-rock and glued all sorts of bling all over....and for my candles I used patterned paper and STICKLES!! (aren't they sparkle-y?? ). For the inside of the card I scored a piece of cardstock in half and for the pop out I measured 3 1/4" in length and 2 1/4" apart. 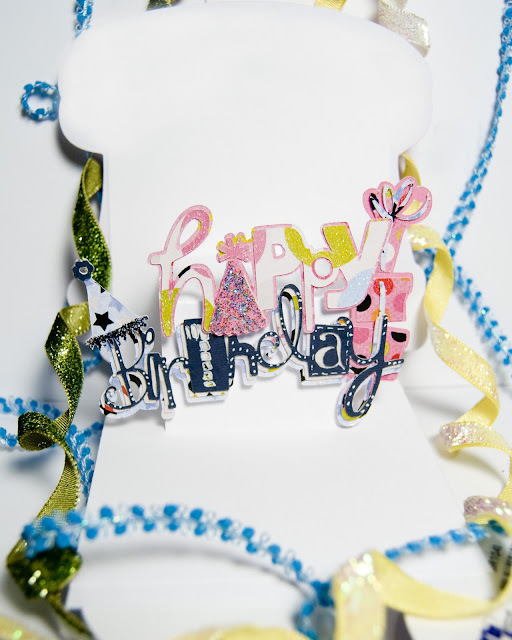 Once it was cut I pushed it in towards me to form the step that I would glue my happy birthday to. I got out Celebrations and flipped to page 124. I used the regular cut, the Shadow and Blackout feature for 3 layers of this cut. 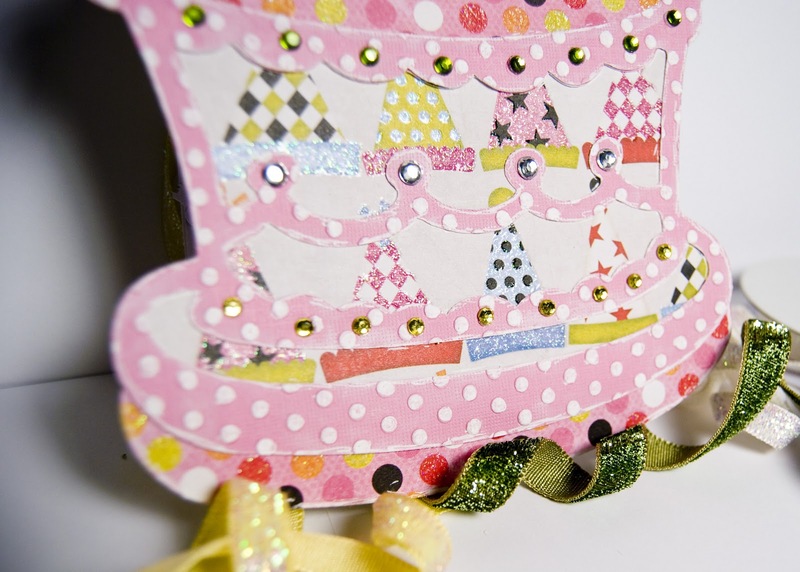 I ended up only using 2 layers for the happy (as I liked the patterned paper that was showing). So I stickled the 'A' in Happy and glued the 3 layers for the birthday. 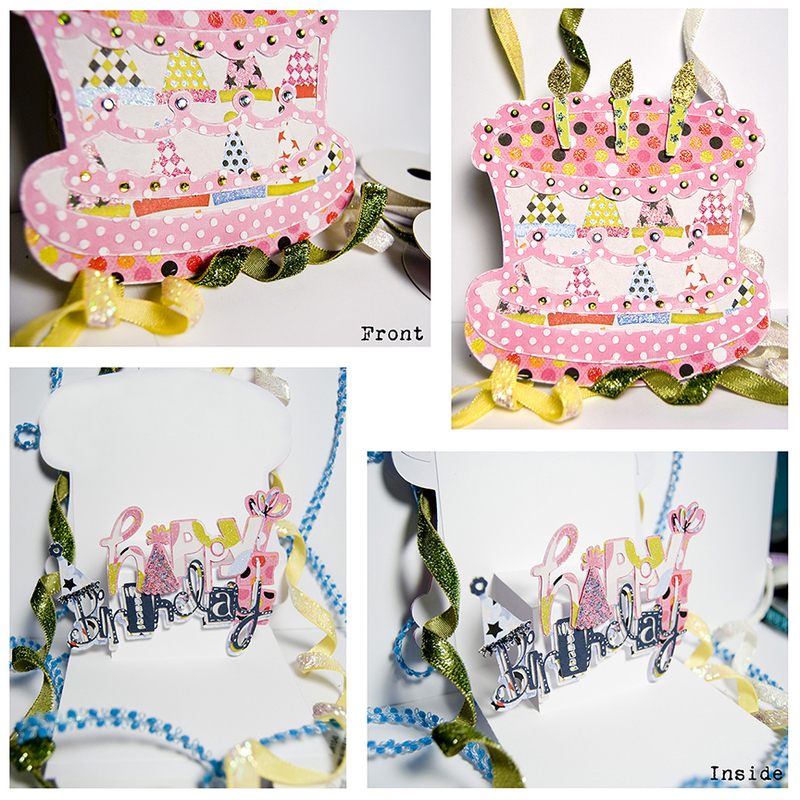 I cut out a cute little b-day hat that can be found on page 103 and added some more stickles - black this time :). Then for the stack of presents behind the 'Happy' I flipped to page 119 and cut out the Shadow, the Blackout and Shift Blackout. I glued them all together and stuck it behind Y in happy. Then I just pop dotted both to the pop out portion and VOILA! WOW, the person who gets this card is lucky. It is beautiful. Oh my, I just love this card! So sparkly and fun! Who wouldn't love to receive this - it would be the gift! Thanks! 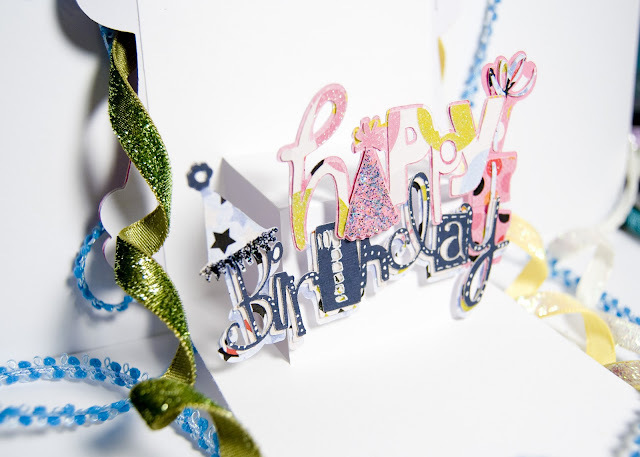 What a great birthday card!!! It's like a whole party in a card. TFS :D.
btw, I'm getting better manipulating this keyboard. Still waiting on comptuer repairs. I found your blog today and let me just tell you... I LOVE IT! I have 2 Cricuts and over a dozen cartridges but have never really used it! I will now...thanks to you! I have spent hours reading and studying your creations. I love that your instructions are concise, and easy to follow! I am totally a FAN! Thank you for the information and spaking my creative juices!